WASHINGTON, DC, June 28, 2010 (ENS) – President Barack Obama today unveiled his new national space policy, which focuses more on international cooperation, peaceful use of space and environmental sustainability than that of the previous administration. The Obama administration’s space policy statement opens the way to a potential space weapons control treaty as long as it is in the interest of U.S. national security. Peter Marquez, director of space policy at the White House National Security Council, told reporters today that the new policy is less confrontational than that of the previous administration. While opening the door to an era of peaceful use of space, President Obama keeps his guard up. The defense secretary also must maintain the “capabilities to execute the space support, force enhancement, space control, and force application missions,” the policy states. The United States will develop and use space nuclear power systems after a nuclear safety analysis conducted by the Secretary of Energy for evaluation by an ad hoc Interagency Nuclear Safety Review Panel that will evaluate the risks associated with launch and in-space operations. Use of nuclear power will require a license from the secretaries of energy and transportation. The administrator of the National Aeronautics and Space Administration, NASA, is directed to “set far-reaching exploration milestones.” By 2025, the policy sets the goal of beginning crewed missions beyond the moon, including sending humans to an asteroid. By the mid-2030s, humans are supposed to orbit Mars and return safely to Earth. “But it also challenges NASA to embrace new roles and areas of emphasis, such as enhancing use of the International Space Station, identifying and characterizing of near-Earth objects, and eliminating or limiting orbital debris and its danger to spacecraft,” Bolden said. “This policy will enable a vibrant, job-creating, transportation system for taking humans to and from low-Earth orbit, which should significantly contribute to the national economy, benefit all of our nation’s citizens, and enable exploration beyond low-Earth orbit,” Bolden said. “This policy promises to transform human spaceflight for future generations. “If there’s one really broad theme it is international cooperation, which is woven throughout the new policy and it’s our sort of foundational emphasis for achieving all of our goals in space,” Barry Pavel, senior director for defense policy and strategy for the National Security Council, told reporters. Environmental concerns are a major part of the new policy. “We are proposing improved observation of the Earth, to gain new insights into our environment and our planet,” said Obama. “This policy recognizes that as our reliance on satellites and other space-based technologies increases, so too does our responsibility to address challenges such as debris and other hazards,” Obama said. 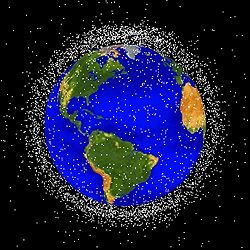 Since 1957, more than 4,800 space launches have left about 19,000 objects in the low and high orbit around the Earth, including about 900 satellites, according to Nicholas Johnson, NASA’s chief scientist for orbital debris. “Decades of space activity have littered Earth’s orbit with debris; and as the world’s space-faring nations continue to increase activities in space, the chance for a collision increases correspondingly,” the new policy states. 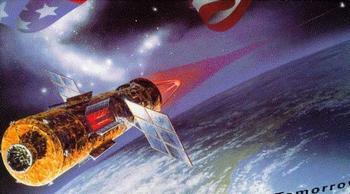 Under the policy, the U.S. will conduct space surveillance for debris monitoring and awareness; missile warning; Earth science and observation; environmental monitoring; satellite communications; geospatial information products and services; disaster mitigation and relief; search and rescue; use of space for maritime domain awareness; and long-term preservation of the space environment for human activity and use. One of the primary goals of the new policy is to energize competitive domestic industries to participate in global markets and advance the development ofsatellite manufacturing; satellite-based services; space launch; terrestrial applications; and increased entrepreneurship. “That is why we seek to spur a burgeoning commercial space industry, to rapidly increase our capabilities in space while bolstering America’s competitive edge in the global economy,” said the President. “We will expand our work in the United Nations and with other organizations to address the growing problem of orbital debris and to promote best practices for its sustainable use,” Clinton said. 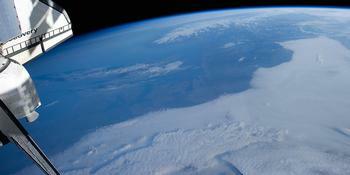 Click here to read President Barack Obama’s new National Space Policy.